Ideal for individuals and designers who are just starting to sell hosting services. Perfect for businesses who want to migrate customers to a quality host. Best value for growing web designers, smart marketing agencies, and web hosts. The reality is that your customers care mostly about the uptime and performance of their sites and their host. With our linux reseller hosting, set your prices and choose your features and also manage hosting accounts and provide support! You can rely on us for expert 24/7 support, 99.9% uptime guarantee and a 30-day money back guarantee. 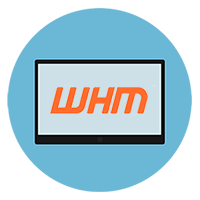 Our linux reseller hosting comes with cPanel/WHM, which is the leading website control panel. CloudLinux allows you to limit the resources, meaning reliable hosting and more uptime. MySQL Cluster enables users to meet the database challenges of next generation. With Softaculous install 449 great scripts and 1115 PHP Classes with just one-click. Unlike other auto installers Softaculous is much faster, well designed and it installs all scripts in just minutes. Install scripts like WordPress, Joomla, SMF, Drupal, Dolphin, PrestaShop and many more through Softaculous. You can access a demonstration each application before installation and then instantly install it on your website from your cPanel. 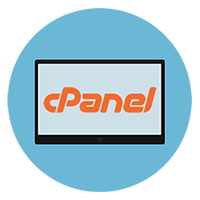 cPanel is the most popular and featured web hosting control panel in the industry. 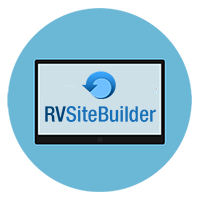 RVSiteBuilder is a website builder that offers a website building wizzard, pre-designed templates, and step by step design to create robust websites. Checkout the demo of both cPanel and RVSiteBuilder. Webmail is one of the most commonly used features in cPanel. As opposed to having email delivered from the server to a desktop application, Webmail allows users to check their messages from their browsers. Currently we provide you the option of RoundCube, Horde & SquirrelMail. Roundcube's most prominent feature is the pervasive use of Ajax technology. SquirrelMail is a webmail that provides a web-based email client for the IMAP protocol. Horde is a popular web client integrated with our hosting platform. Fed up with slow website performance, poor support and basic hosting features? It’s time to change hosts and leave your website worries behind. We are ready to transfer your website without downtime and hassle. 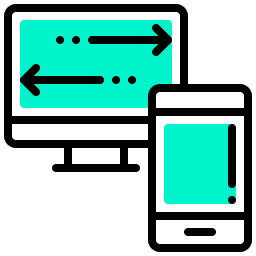 A transfer is included for free on all plans. Ply Host is committed to making it easy to transfer your website to your new hosting account. We can transfer your website files, databases, scripts, and one free domain registration transfer. We've got a lot of cool features we want you to try. So do it! Try us risk free! We offer a 100% Satisfaction Guarantee, Money Back Guarantee and 99.9% Server Uptime Guarantee. We know you’re seeking reliable hosting, and we’re guaranteeing it. Your account will be activated immediately after sign-up. The estimated time frame for reseller hosting setup is less than 1 minute. You will receive an account information email immediately after signing-up. Do you really provide free domain registration? All reseller hosting plans on an annual billing plan or above include one free custom domain. This domain is free for life until you cancel your reseller hosting. Yes, you can use your account to build and run your business, including e-commerce websites. Yes. You can upgrade your account at anytime. You will pay the difference between your current plan and your new plan. There are no extra fees involved in upgrading. You can upgrade your account by contacting support. Yes, we provide free SSL certificates for all assigned and parked domain names set up in your account. In most cases, the SSL will automatically assign and install itself to your new and existing domains. Can I use WordPress with a Ply Host? We currently provide support for the following versions: 5.4, 5.5, 5.6, 7.0, and 7.1, which you can change between easily within cpanel. Yes, after whitelisting your IP, you should be able to make the proper remote MySQL connection. No free trial is offered as we offer a Money Back Guarantee. If you decide our service isn’t for you, we’ll refund your payment. No questions asked.